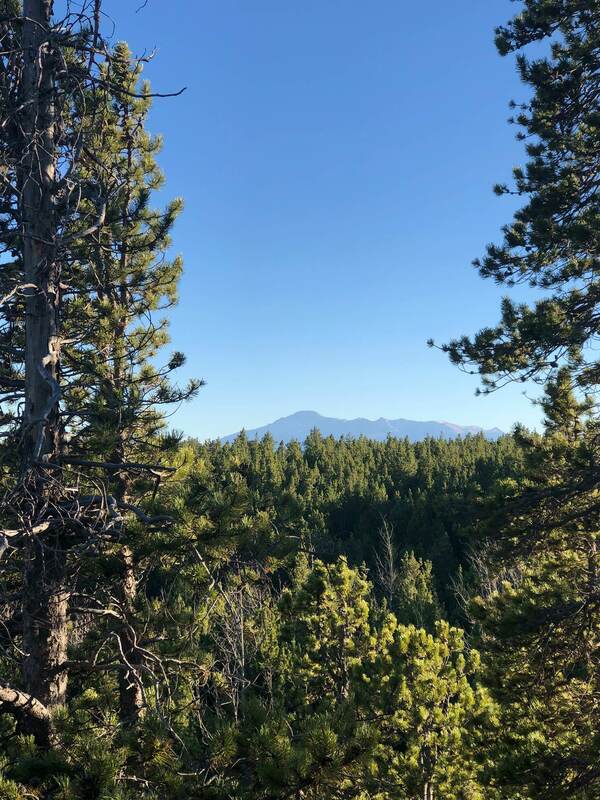 Varies a lot with weather and whether it's a car camping trip or backpack-in trip. My current car camping setup is a Marmot Limelite 2 tent set up at least half under a tarp which allows me in and out in the dry and gives room for cooking, etc under cover. 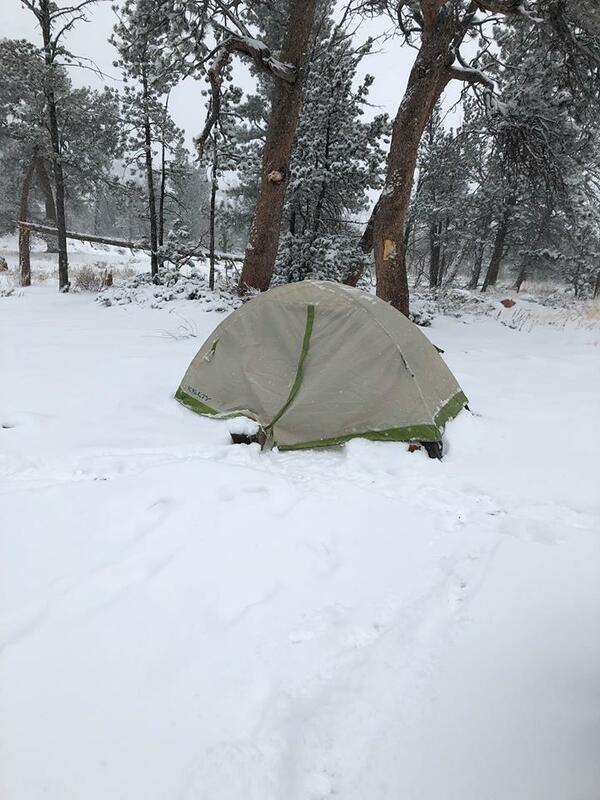 I throw down a Cabela's cot pad and use an older Hollofill II semi-rectangular bag with a Thermarest down blanket to throw over the top if the bag is not warm enough. The whole thing breaths good so condensation is not an issue and it gives me plenty of bug-free space. I really like the bent-pole design on the tent because the sides go up vertically a foot or more before curving in which really increases the useful floor space. Typically my backpacking is summer, not constant rain, maybe t-storms, hopefully not. I go pretty light. The setup used most includes a Bearpaw Wilderness Designs bug bivy, a Thermarest NeoAir pad, and a Western Mountaineering MityLite bag. I generally pack a cuben fiber tarp as well .. just in case. 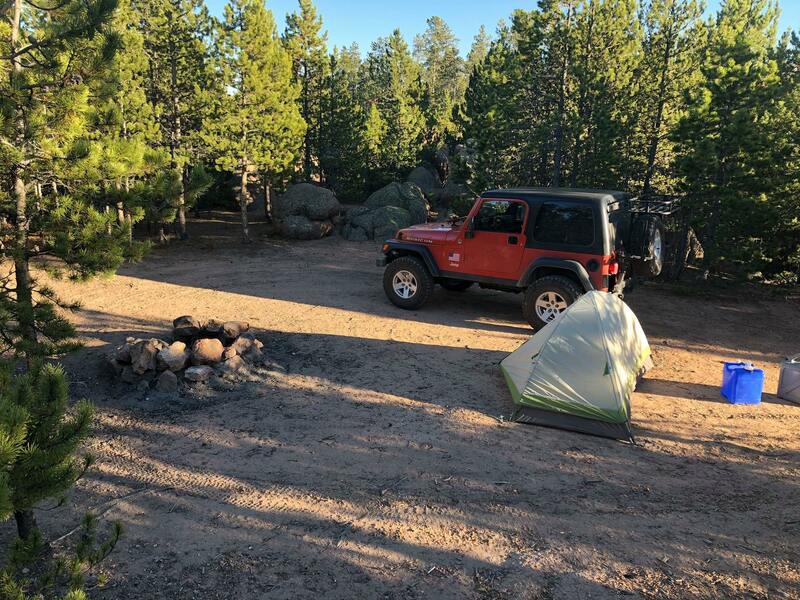 The alternate setup uses the same pad and bag but exchanges the Bearpaw WD bivy for a ground sheet and an REI Bug Hut I. The BP WD bivy is lighter, the Bug Hut 1 is a little easier to get in and out of. I have a bunch of other stuff to choose from if weather changes so I can really fine-tune my gear to conditions. I admit it, I'm a gear junkie / addict. My wife and I usually camp in our truck, which is a 1995 Mitsubishi Montero, mentioned in the squatching vehicle thread. We took all the seats out of the back and made a sleeping platform and slide-out cutting boards/cook stove surface. My wife made the curtains for the sleeping area. For backpacking we have a small, waterproof Nemo tent. It's very minimalist, and has a tiny footprint which is useful in the Cascades. 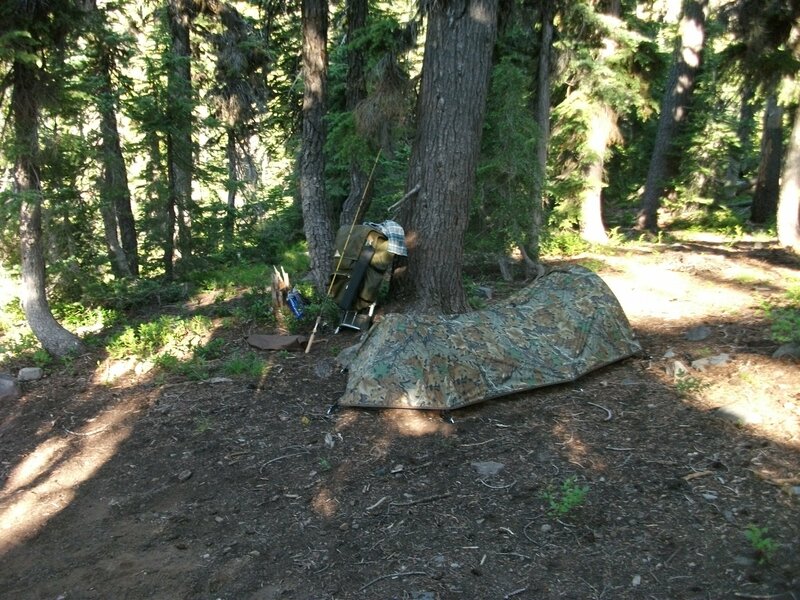 In my single days I used a Hennessey Hammock with a Hammock Gear down underquilt. 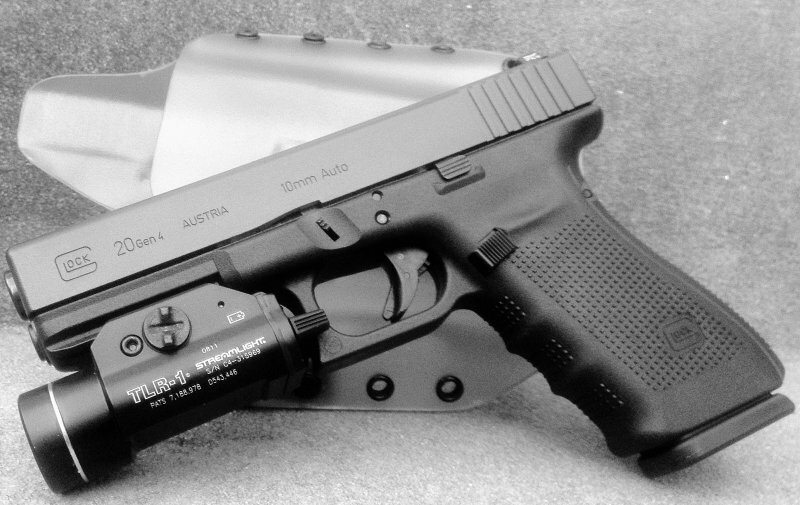 Quite comfortable and pretty effective in our rugged terrain here, but useless for two people. I use the Super 8 motel just outside Cohutta WMA in Chatsworth. I've had a lot of success with this Kelty one man Tent. It's an easy pack in-pack out tent if hiking in or driving to some spot. The snowy one is in southern Wyoming in the Medicine Bow National forest. 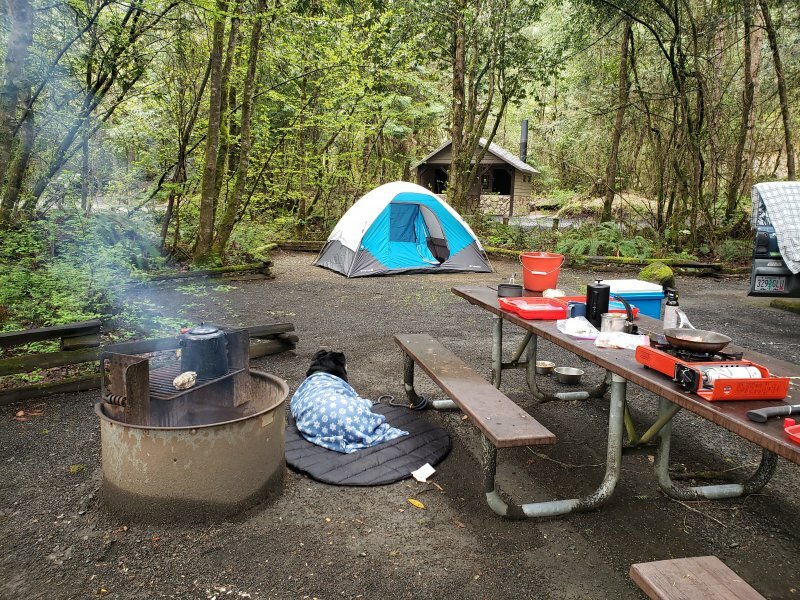 I went camping on the Umpqua River this weekend. This is my set up - new tent, old dog, old truck and 30 year old camp stove still going strong. Lots of coffee and bacon. 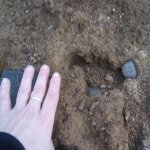 And I huge love for the outdoors combined with a hungry curiosity about sasquatch! Is that a shower facility in the background? Don't get rid of your 30 year old stove. A metal utensil will scratch your non-stick coating of your fancy pan. Non metallic spork. Sporks go back to the Civil War. Not sure if it was blue or grey sourced. Careful with the bacon. Even more careful with bacon grease. You will get a bear and maybe others. I think it was the Park Rangers in Yellowstone that said bears visit 90% of the fire pits after campers leave because people either throw or drop food products into their fires when cooking. I've told the story .. Aug 20-ish, 2011. Backpacked with a friend into a lake basin. We were beat so we just took the first spot we found the first night. This picture is from 2018, just shows the camp site. "They" came above to the right. 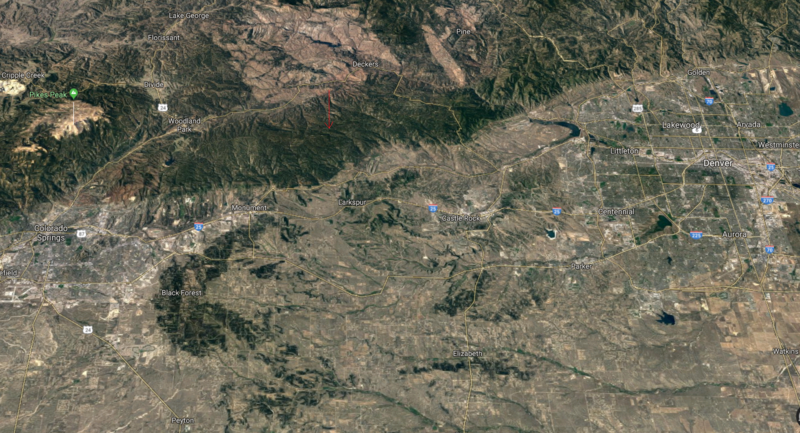 The knocks were (1st) directly above to the right, and (2nd) somewhere farther to the right about 75 yards from camp. My tent, shown below, would have been just left of the fire ring and little beyond it, my buddy's larger tent filled the opening on beyond that just this side of, and left of, the big tree on the edge of the campsite. The next morning wandering around, I found a better camp site about 200 yards from the first. This is my spot for the second night. 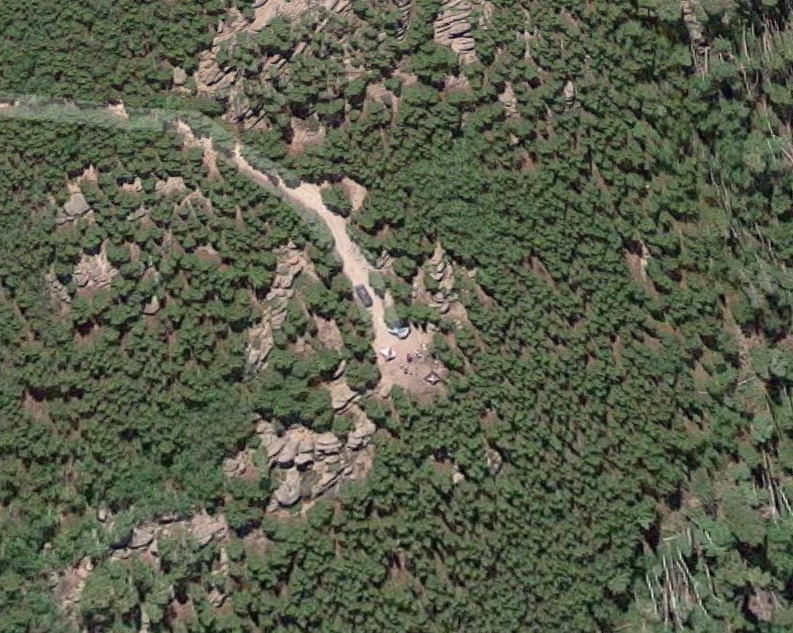 The bigfoot that came into camp stood about where the rocks are to the right / away end of the tent. When I got up to pee, and again to check my pack 'cause I thought I was hearing rodents, it was RIGHT THERE ... I couldn't bring myself to flash my light that direction for some reason. The "tent" is a Cabela's Northstar Bivy, long discontinued. It's about 90 inches point to point lengthwise, 30 inches wide, and 18 inches high. My shoulder brushes the roof when I roll over but there's a lot of flat space inside for gear other than my pack. The pack is a roughly 1980 vintage Kelty Tioga II which I still use for my heavy hauling. Directly behind me about 15 feet is the fire ring and just beyond that is my buddy's camp spot. The following year, Labor Day weekend, 2012, I did my "death march" and wound up camping in the same location after 13.5 miles. I did that hike solo and camped in the spot he camped the year before. Different pack. In 2012 and 2013 I used a "Sacrifice" internal framed hunting pack from Badlands for backpacking. It has the advantage of a lower center of gravity and the suspension is adequate for lighter loads. The "tent" this time was a ground sheet and REI "Bug Hut I". I also had a new Western Mountaineering MityLight sleeping bag and a Thermarest NeoAir pad. The fire ring is just out of sight below my left elbow as I took this picture. Nothing happened this night, but during the death march around noon I got the "ahhhh" recording I sometimes mention, I found a track in the trail mid-afternoon, and in the morning when I got up here, I recorded the only whoops I've ever heard. One of those whoops elicited a 2-syllable response., so yeah, whoops. So it's a little off topic, but the pic below shows something interesting. The bare-ish patch on the point across the river , left of center, is where I think the "ahhhh" roar came from because it is the nearest point above me in the right direction and there is a similar, though more pronounced, outcropping where the first one came from. This is at 10x magnification so distance is deceiving, it's over 2 miles. Oh, and the swamp where I found the funny turds 2 years ago is just out of frame to the lower right side of the picture. There is no sane approach to that outcrop from this side of the river, have to go from the other side about 2 miles off-trail. I ran trail cams on it for a couple seasons. One died. I have new cameras and plan to go back this summer for another try at figuring out what made that sound. MIB, is that in Oregon? Gorgeous area! I'm up there a lot. Driving the roads in my Jeep and camping and fishing. Don't go booger hunting anymore. Heard a howl one time there. There are reports from there but the big guy hasn't crossed paths with me yet. Nice tent, but you might need to invest in a light now. This is the type that builds confidence.